The South Africa people are a very diverse people in a diverse nation. Here numerous ethnic groups live together celebrating their many different traditions and cultures. Today, the various population groups form a unique multiracial and multicultural society after the demise of apartheid. A strong will to transform and thrive and a passion for sharing and caring for each other, is noticeable wherever we go. In 2016, the South Africans celebrate 22 years of democracy and the legacy of South Africa's foremost freedom fighter, 'Father of the Nation' and first democratically elected president, Nelson Mandela can be felt throughout the country. Archbishop Desmond Tutu called the South African people in 1993: 'The Rainbow people of God'. This term was later used by Nelson Mandela to describe South Africa as a 'Rainbow Nation' referring to the multicultural heritage of the South Africans. The existence of 11 official languages in South Africa is proof of the multicultural society. Most South Africans are bilingual and although there is still a huge gap regarding the distribution of wealth between the various population groups, efforts are taken by all parties in society to reduce the inequalities. Transformation is happening, even if only slowly, and the challenges which are inherent in the process when recognising and learning from the injustices of the past can be noticed. Unemployment is high with a rate of almost 27%, while youth unemployment has reached over the last years a high 50%. Poverty: More than half of the South Africa people are classified as poor. Life Expectancy: 57.7 years for males, 61.4 years for females, who make up 51% of the population in South Africa. Age Distribution: One third of the population is younger than 15 years. 36.2% of the South Africa people is aged between 15 and 34 and 7.8% are older than 60 years. HIV/Aids Prevalence: 11% of the total population. 5.26 million are estimated to live with HIV in 2013. Almost 16% of the population between 15 and 49 years are HIV positive according to Statistics SA. Household Spending: 32% of overall household spending goes to housing, electricity, water, gas and fuel. Food and non-alcoholic beverages account for almost 13% and transport costs amount to 17% of spending in an average household. Religion: 80% are Christians including members of various Christian beliefs such as Zionists, Methodists, Catholics, Dutch reformed, Lutherans and Anglicans. There are also smaller groups of Muslims 1.5%, Hindus 1.3% and Jews 0.2% as well. Excerpt from the 'Living in South Africa' handbook. Click on the image to read more. As you have seen in the pie chart above: Of all ethnic groups, the Africans (Blacks) are the biggest group with over 41 million people. The biggest ethnic group among the Africans are the Zulu people who live mainly in or stem from KwaZulu-Natal. The Xhosa people, forming also the majority of black people in Cape Town and the Western Cape, live mainly in the Eastern Cape, which include the former Homelands Ciskei and Transkei. Nelson Mandela belonged to the Xhosa people and is referred to as 'Madiba' or father by the South African people. South Africa's current president Jacob Zuma belongs to the Zulu people. The Coloureds, which include the Cape Malays, whose ancestors were brought to the Cape from the overseas colonies in the Dutch East Indies, live in majority in the Western Cape as Cape Town houses the biggest number of Coloured people in South Africa. Some of their traditions are still alive and their special cuisine and the annual Cape Minstrel Carnival in January are still very popular. Asians or Indians, whose ancestors came to South Africa in the later part of the 19th century to work on the sugar fields, nowadays live mainly in KwaZulu-Natal, where the Indian cultures are very much alive in their Indian communities. The Chinese who came during the gold rush in the late 19th century were mostly repatriated. The Afrikaaners, whites of mainly Dutch, French and German descent, still practice many of their traditions. Especially in rural South Africa, the Afrikaaner culture is still evident. The annual 'Little Karoo National Arts Festival' (KKNK) in Oudtshoorn is renowned for being a platform of the Afrikaans arts and culture. The different ethnic groups living in South Africa generally maintain their distinct traditions and customs. During apartheid, various population groups, including the blacks, Coloureds, Asians and Indians suffered greatly from discrimination and were forced to live in specific Homelands although their traditional cultures were suppressed. Affirmative Action measures are implemented with the B-BBEE (Broad-Based Black Economic Empowerment) Codes of good practise in 2007 which were revised in 2011. Many South Africans live in the country's townships. In 2008, a survey found that 69% of all blacks lived in a township, some by choice when these areas get more and more urbanised, such as Soweto near Johannesburg. But most blacks in townships live in poor conditions. 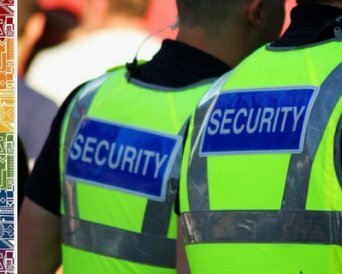 Crimes are often happening in these surroundings and basic amenities, such as educational or health institutions are generally extremely poor in these environments. This is where xenophobic violence in South Africa happens more easily. Xenophobic anti-foreigner riots happened in many South African townships in 2008 and in 2011 and again in 2015, but these violent outbursts were more or less contained in recent years. It was mainly a reaction to the influx of foreign Africans and illegal immigrants, many from neighbouring Zimbabwe or crime-infested and unrest-ridden countries such as the Congo, Somalia, Angola and Nigeria. These were sadly made scapegoats while unhappiness with unsuccessful politics, corruption and the resulting uprising in the local townships lead to victimising the refugees and poorest immigrant groups. The more recent protest actions and strikes which are broadcasted worldwide recently are certainly increasing over the last months, but this unrest rarely expands to those immigrant groups as the protests are seen as service delivery protests and are generally aimed at the local, provincial or national governments for non-compliance with promises they had made before. 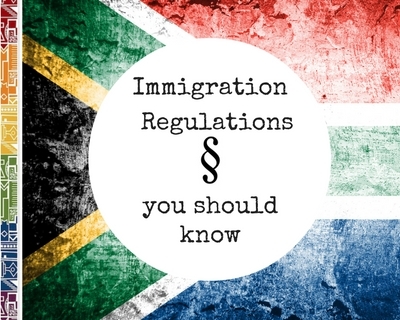 Looking for more information about South Africa people? 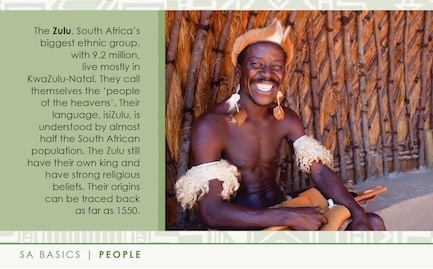 Our 'Living in South Africa' guide book contains a full chapter on the South African people, a historical overview as well as information on the various indigenous and immigrant communities of South Africa. 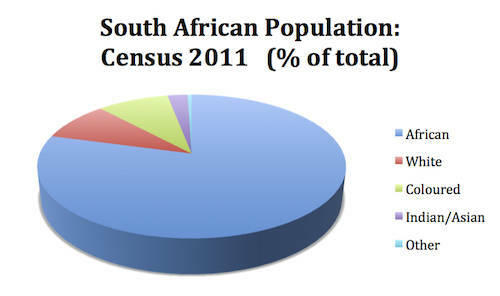 Sources for South Africa People: StatsSA.gov.za 2014, Census 2011, world bank.org 2013.